Vape use has exploded among high school and college students. According to a survey by the National Institute of Drug Abuse (NIDA), nearly 1 in 3 students in 12th grade report using a vaping device within the past year. Because vapes are small, easy to conceal, and don’t reek like typical cigarettes, they’re easy to use – nearly anywhere and everywhere. Plus, with flavors like blue raz, glazed donut, and cotton candy, they’re much more appealing than a normal cigarette. However, many of the students who reported vaping in the aforementioned survey by NIDA were unable to say what exactly was in the device they were using. So… what’s the catch? What’s the real deal with vaping? MYTH: VAPING IS A HARMLESS, FLAVORED MIST. When asked what was in their vapes, many teens responded, “just flavoring.” And really yummy flavors, at that. FACT: VAPING CONTAINS CARCINOGENIC CHEMICALS. Unlike cigarettes, vaping won’t get anyone addicted. It’s much different. FACT: VAPING IS HIGHLY ADDICTIVE. One vapor pod containing 200 puffs can have just as much nicotine as a pack of Marlboros or Camels, according to Edutopia. Not only is nicotine addictive, but it’s even more addictive to a teenager’s brain compared to an adult’s brain. 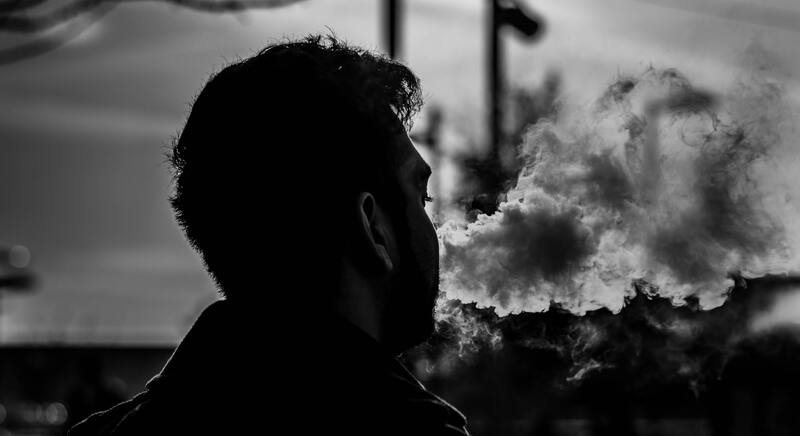 The New York Times detailed one teen’s addiction to vaping in their article The Price of Cool: A Teenager, a Juul, and Nicotine Addiction. 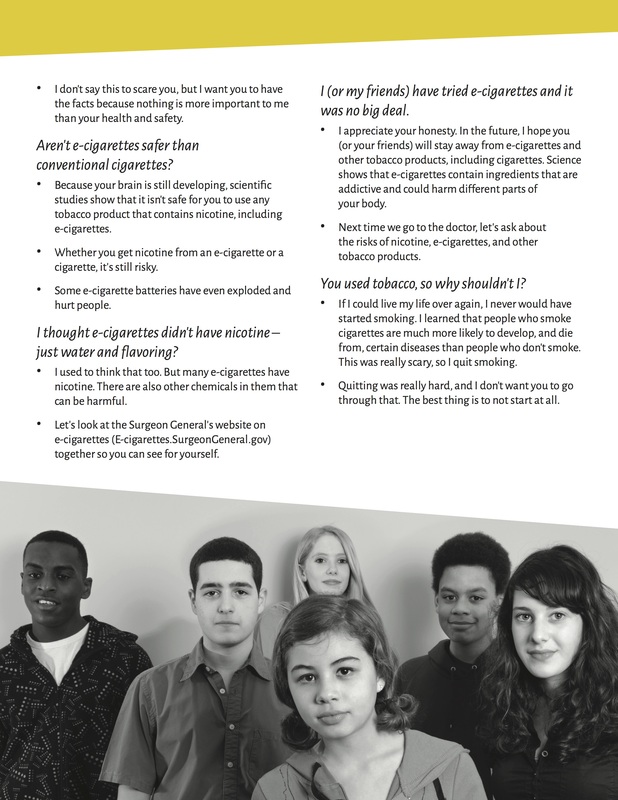 MYTH: VAPING IS A GREAT ALTERNATIVE TO CIGARETTES. Even if they aren’t healthy, they’re still way better than smoking cigarettes. They’re also a great way to help smokers stop smoking. 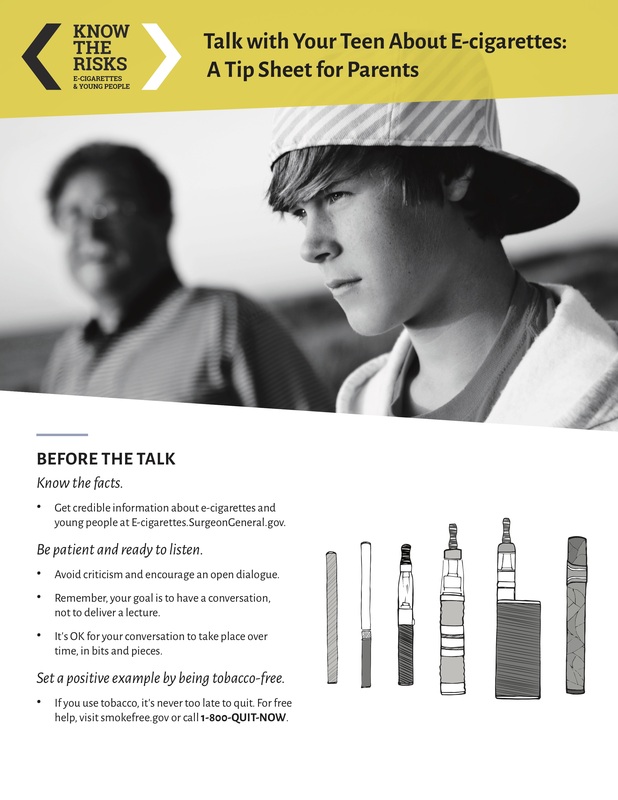 FACT: VAPING IS CAUSING NICOTINE ADDICTION IN TEENS WHO NEVER WOULD’VE SMOKED CIGARETTES IN THE FIRST PLACE. Simply put, vaping is a trend among teens that can have dire consequences. For parents and educators, the most important thing to do is have an open, honest dialogue about it. 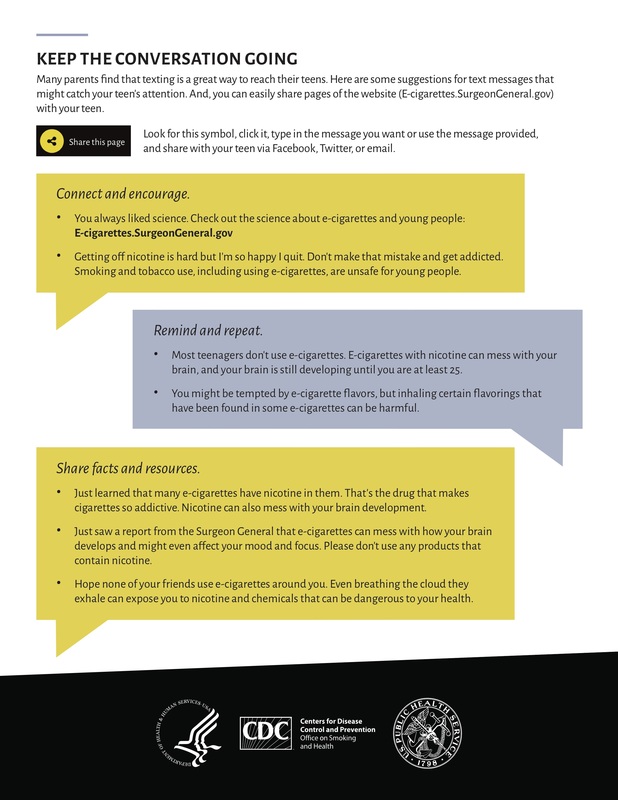 While most teens have been exposed to vaping, few actually know the scary facts behind it. Not sure where to start? 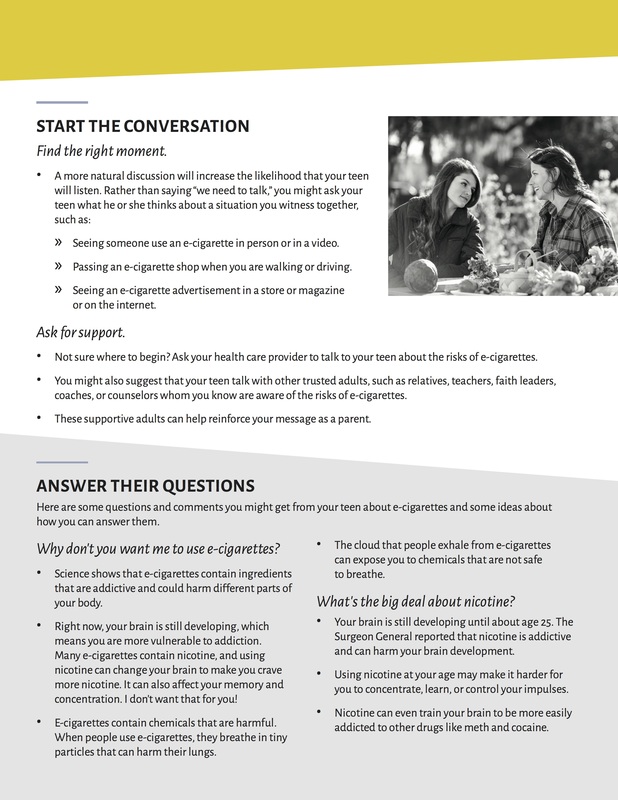 This PDF from the CDC and Surgeon General, which goes over tips for starting the conversation, answers to common questions, and further resources to explore.